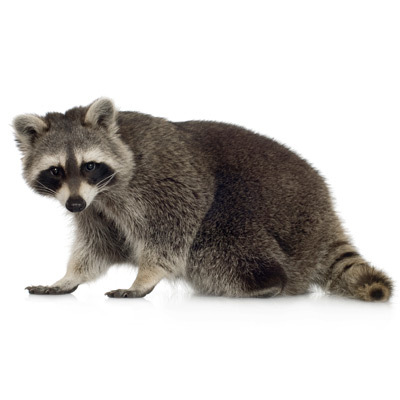 Easily recognizable by their well-know ringed tail and masked face, raccoons are common throughout North America. However, they are very common in urban areas and less common in most rural areas. They are primarily nocturnal, so most of their mischief happens during the night. Raccoon’s located in New England tend to grow fairly large and have been known to reach over 50 pounds and have been known to live up to 12 years in the wild.